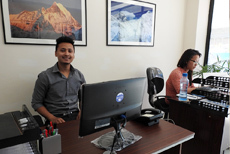 About us｜Saiyu Nepal Trekking & Expedition Pvt.Ltd. 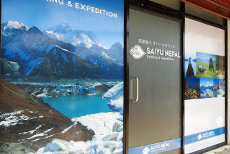 After 40 years’ experience of tour operation in Nepal, our parent company Saiyu Travel renewed its local corporation in Nepal and established “Saiyu Nepal Trekking & Expedition Pvt. Ltd.” in August 2013, to provide services with new style while expanding the business to Nepal. We will provide real time information as a local travel agent. We will be right there to support our tourists for any unforeseen circumstances that are probable in Nepal like a flight delay, weather change in the mountains, or an immediate change of itinerary due to illness etc. We’ll do our best to support our tourists creating high-quality tours to meet the demands. We look forward to meeting you. Company Name Saiyu Nepal Trekking & Expedition Pvt.Ltd. - Vehicle rental services and other services. Adventurous or special interest outbound tours! We also arrange inbound tours in Japan for our Indian customers. Inbound services to India for sightseeing and nature tours. Inbound services to Sri Lanka specializing in sightseeing and nature tours. A hotel in the scenic valley of Bamyan in the central Afghanistan.